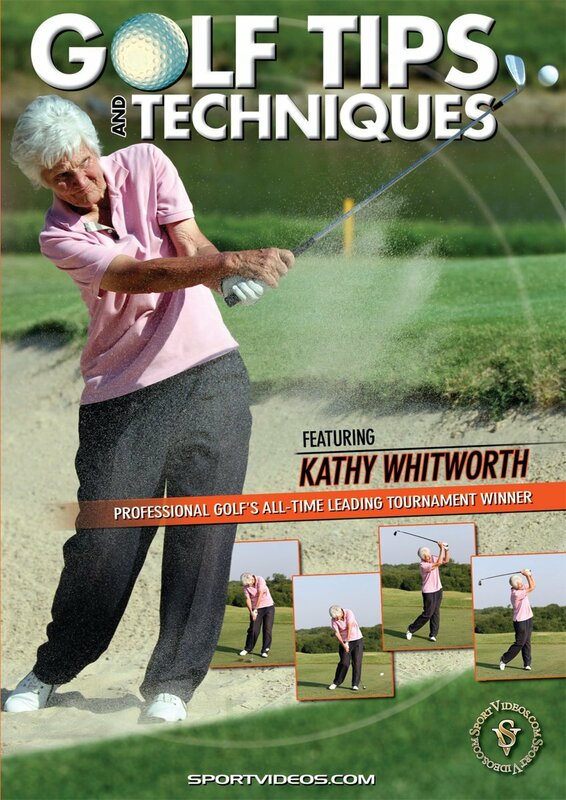 Dramatically improve your game with the help of professional golf's all-time leading tournament winner, Kathy Whitworth. In this comprehensive DVD, Kathy offers numerous tips and techniques to help you become a better golfer. Among the topics covered are: Square Club Face, How to Aim, Ball Positioning, The Takeaway, The Weight Shift, Position of the Arms, Clipping the Grass, Holding Your Finish, Pre-Shot Routine, Pitching, Chipping, Sand Trap Play, Long Putts and Short Putts. Kathy Whitworth's Tips and Techniques will benefit golfers of all skill levels.